Maggie Zhou is a global business major from Wenzhou-Kean in her second semester studying here at the Kean's Main Campus. Photo courtesy of Maggie Zhou. 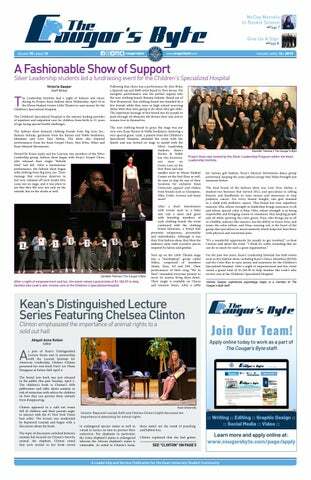 In only a short time, Zhou has made an impact on the Kean community. Being an exchange student from WKU, Zhou quickly felt that the mentor and people she was exposed to here were incredibly diligent in their efforts to make her and her fellow transfers feel comfortable and welcome. This effort for inclusion inspired her to establish a mentor program between students coming to Kean USA from WKU and vice-versa. Global business major and director of public relations for Wenzhou-Kean University Student Association established a mentorship program for students transitioning from Wenzhou-Kean. "Wenzhou-Kean is a promising and vibrant university. What differentiates WKU from others is that WKU greatly emphasizes the diversity of students, respects students’ differences and provides various opportunities for students. Start here, go anywhere. Students in WKU are open-minded, motivated and committed." 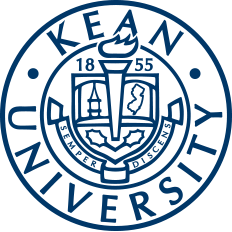 Wenzhou-Kean promotes Kean University's goal and motto of a world-class education. Students from both Kean USA and WKU are invited to study abroad through the direct exchange program with the schools. For the same cost of attending the Union campus, students can apply to study in China. Wenzhou-Kean is an international university in China and features an English immersion education. This form of education is different then traditional forms in the Chinese education system in that WKU focuses on promoting a more Western approach to higher education through group work and interactive instruction, as well as the teaching of the classes in English. Maggie Zhou works to make the transition from Wenzhou-Kean to Kean Union easy and comfortable. WKU is great and beneficial because of the immersion education and connection to study abroad programs. Students can also get an international education without being sent abroad and having their parents worry, as well as the affordable price for Wenzhou-Kean. The student mentor program between WKU and Kean USA has multiple functions. The first function is to invite more students to go to the other abroad campus and experience the benefits of the program and partnership. The next function is inviting students who have transferred to WKU to become more socially active and make friends with the Chinese students. The last function of the program is to provide clubs and organizations that are international between the schools. This is in response to students who join groups and gain leadership experience, but lose the experience because the club does not exist at the other campus. This program wants to promote clubs that are connected between the campuses having the same e-board. "My first semester here, we WKUers received tremendous help from school departments, so we very much enjoyed our time here. My awesome experience at Kean inspired me to establish a student mentor program in Wenzhou -Kean University that aims to promote the exchange program to more Chinese students and provide assistance to Kean Students who exchange to China, adjusting into a new environment." Serving as the president of the Alpha Club and the leader of Business Student Advisory Council in WKU, Zhou has witnessed firsthand how WKU students get accustomed to campus, participating in events and making local friends whenever the opportunity presents itself. Nonetheless, Zhou continually advocates for WKU and international students to do even more. "We can be proactive and actively contribute more," Zhou said. "When I am thinking about how I can contribute to this project and make it better, I naturally participate more actively in it. As a student leader, I hope that I can do more for my peers and my school." Zhou was born in Ningbo, Zhejiang, a major port and industrial hub in China, two hours outside of Shanghai. She decided to to attend Wenzhou-Kean to receive the English immersion and Western education offered there as well as the international benefits. As a global business major, Zhou is able to fully capitalize on the exchange program at Kean USA. "Being a global business major, being here is very beneficial. One of the key points of global business is to understand different cultures and how they do business. It's important to expand, have connections and maybe know someone from different countries to get a better understanding of that culture." Zhou works on many different volunteer opportunities further networking herself with members of the Kean community and creating new friendships. Maggie Zhou has been involved in many different RA programs and volunteer opportunities. While doing so she has also worked as director of public relations for Wenzhou-Kean University Student Association (WKUSA). WKUSA is an organization at Main Campus that works to create initiatives, events and programs to make the transition for Chinese exchange students more easy and comfortable. At the Union Campus, New York City is only one train away and Zhou expressed how inspiring New York City is, comparing it to big cities in China like Hong Kong and Shanghai. Students studying in China have opportunities to visit cities like Shanghai when studying at Wenzhou-Kean. Being a global business major, studying internationally is beneficial for a student like Zhou looking to broaden their horizons and meet new people. One of Zhou's favorite parts about studying at Kean Union is that exposure to all of the diversity that Kean has to offer. "I can never believe I have friends from Italy, Germany, Dominican Republic, Ecuador, Thailand and so on. It is so cool," Zhou said. "My neighbors and I have a totally different background. It is really interesting to exchange our ideas and explore different cultures. I appreciate students here. They are confident and energetic, and they are willing to express and influence others." "The best way to be involved with something is to contribute to it," Zhou said. For more information on Wenzhou-Kean University, visit its web page.